Our friends at Take Back Our Neighborhoods (TBON) have updated their information on the ongoing invasion of Costa Mesa by the sober living "industry" and the results are more than disappointing. Go to their website, HERE, for all the information. Our city, which already accounts for something like 28% of all sober living/rehab homes in Orange County, has gained another 5 licensed facilities since the State report in November. When you get to the TBON page, review the information provided along the right margin, then click on the map to be taken to a zoomable/interactive map to get a better idea of just where these places are located in your neighborhoods. Thanks to the folks at TBON and others who are tracking this data and making it available to us all. This issue affects most Costa Mesa neighborhoods and it's not going to get better unless our elected officials continue to work diligently on this problem and enforce the laws they've enacted. Keep reminding them of that. The Costa Mesa Bikeways and Walkability Committee met again Wednesday night at the Costa Mesa Senior Center for their first meeting of this year and stayed pretty close to the published agenda, HERE. 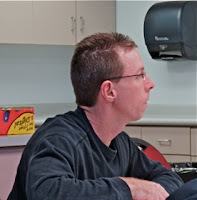 I'm still fighting this darn cold, so a big thank you to the lovely and efficient Teresa Drain, who attends all these meetings with her husband, Jim, who offered to provide the information for this report. Once again there failed to be a full committee present, with members Kathleen Brown, Tony Capitelli, Jim Kerins and Brian Valles absent. 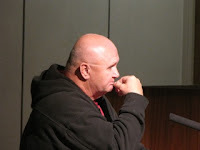 Council liaison Katrina Foley and Newport-Mesa Unified School District Liaison Dr. Kirk Bauermeister were also absent. The committee made the final finishing touches on their Goals/Objectives/Policies/Programs document for the Bicycle and Pedestrian Master Plan. 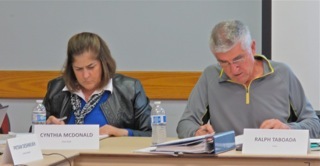 Staff will incorporate the final, approved document and have it ready for presentation by Chairman Ralph Taboada and Vice Chair Cynthia McDonald to the City Council at it's meeting on January 19, 2016. The committee also reviewed the Master Plan of Bikeways during this meeting. Member James Kane made a brief presentation of Senate Bill 1183, HERE, which provides for local jurisdictions to impose a $5.00 surcharge on motor vehicle registration fees for bicycle infrastructure. He will return with a more comprehensive presentation at the next meeting. Apparently there will be some community outreach conducted by a consultant hired to work on the West 19th Street Bicycle Corridor beginning in the near future. 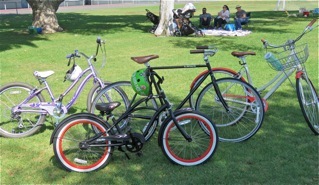 There will be a presentation by an Orange County Bicycle group at the March meeting and someone named Steve Clark, representing "The Bike League", wants to make a presentation to the City Council in the near future. With the heavy lifting of the creation of the document mentioned above behind them, the committee voted to meet only once a month, on the 1st Wednesday of each month, beginning with their next meeting on February 3, 2016, at the same location and the same time, 6:30 p.m. 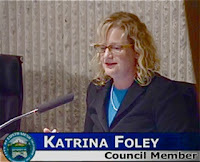 If you attend the next City Council meeting - or watch it on Costa Mesa Television or streamed live on the City Website - you'll be able to hear the results of these many months of hard work putting together their foundational document, which becomes part of the General Plan update. The Costa Mesa City Council began the year with another meeting that stretched into the next day, and, unfortunately, with the same kind of partisan fragrance lingering over it. This will be a short report because the only guy who felt worse than me last night - I stayed home and watched the meeting on CMTV - was councilman Gary Monahan. He made the meeting, but it was nearly two hours into it before he uttered a word. 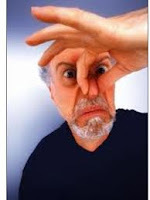 He looked like I felt - darn winter colds! The meeting began with a moment of solemn expression by the local Imam, then had Mayor Steve Mensinger euphoric in presenting awards to several youth football teams. Parks and Recreation Commissioner Bob Graham asked for something to be done at Fairview Park to help protect the bluffs from eroding during the El Nino event. 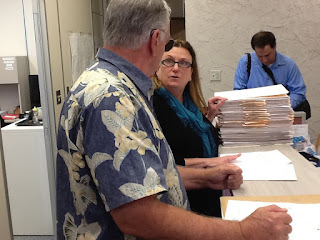 Dr. Richard Mehren, the godfather of Fairview Park, announced the initiative recently launched by the Fairview Park Preservation Alliance, for which signature petitions are now circulating. Gay Royer expressed concern about traffic around Victoria Elementary School. Colin Dabo (sp) complained about the long-term problems with The Shark Club. Beth Refakes gave a slide show of the recent toy drive for the children of our adopted Marines, the 1/5 at Camp Pendleton. An unidentified person gave a brief primer on Leadership. Chuck Perry again asked for a bench on 17th Street for the developmentally disabled kids. Nam Tran - the owner of the Shark Club - rebutted Dabo's comments. Ryan Esfahani asked about the relocation funds for residents of the Costa Mesa Motor Inn. 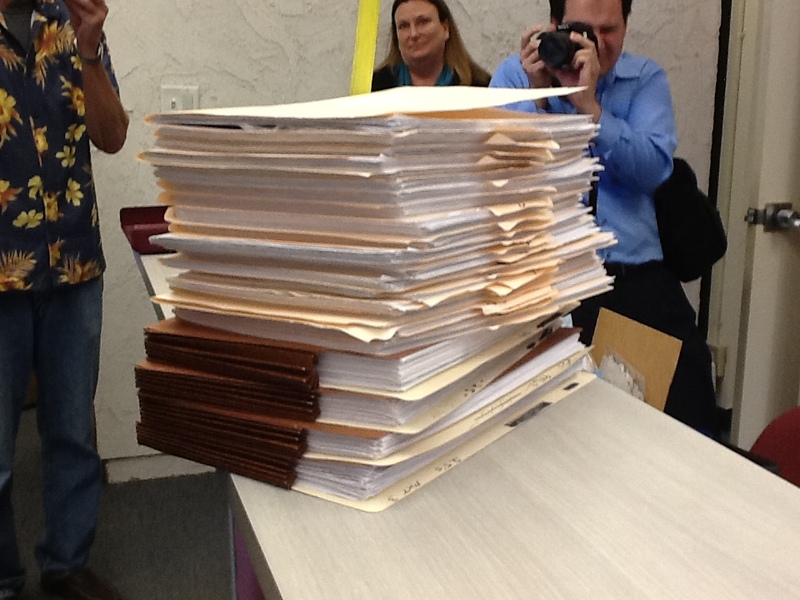 Jay Humphrey reported that the signature petitions for the Smart Growth Initiative have been submitted to the City Clerk and that 6,908 would be sent to the Registrar of Voters for certification. Robin Leffler followed up with an observation of a very high percentage of residents encountered - 8 out of 10 - signed the petition. Cindy Black asked why exparte communications do not include encounters with developers and contractors. An unidentified person mentioned that Tuesday was National Law Enforcement Day and wondered what the City was doing to recognize it. Another unidentified person mentioned recent rehab encounters, including the rehab reject who was caught robbing a home recently. She described Costa Mesa as becoming an "El Nino for corruption". 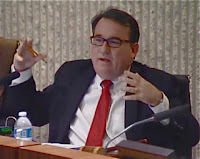 Under Council Member Comments, Gary Monahan had none. Mayor Pro Tem Jim Righeimer told us "things are going the right way". He asked for a report on the Shark Club, saying "I'm kinda done with this." Mensinger asked CEO Tom Hatch to work with Graham on the Fairview Park Bluffs issue and spoke to Colin Dabo about the Shark Club. He then threw a curveball to Police Chief Rob Sharpnack. He asked him, in light of National Law Enforcement Day, if he'd give a brief report on staffing. That was VERY interesting. Sharpnack told us we had 111 total sworn officers, with 8 injured, 1 about to retire this week and 2 or 3 coming on board after Academy graduation next week. Mensinger told him that Orange County Sheriff Sandra Hutchins was impressed with the way Costa Mesa is cleaning up the Academy classes - snagging the best of the bunch. Katrina Foley asked Sharpnack to clarify his numbers, indicating that we have an authorized strength of 136 but only 102 able to work. He replied that we're hiring as fast as we can but he's not willing to lower their standards. He mentioned CMPD recruiters venturing to Northern California for recruits. 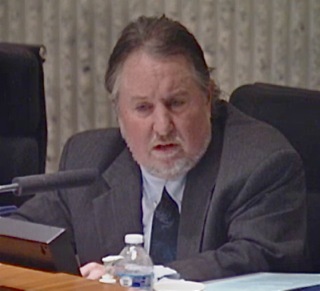 Foley also asked Director of Public Services Ernesto Munoz to investigate the Victoria School issue, and asked City Attorney Tom Duarte about the $200,000 relocation amount for the Costa Mesa Motor Inn residents - he said they are hammering out the details. She also expressed concern about the information provided about the Shark Club. Sandra Genis expressed concern that nothing had yet been done about reviewing the performance of the City Attorney and the CEO. She also expressed concern about exparte communications, indicating that it was not enough to know that communications happened, but with whom and about what. She specifically mentioned all the contract employees we currently have onboard, expressing concern about conflicts of interest. She mentioned the staff shortages which required the contractors to be hired. 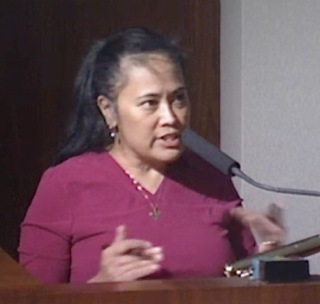 She also expressed, again, concern about the Orange County Human Society - our animal shelter - because Newport Beach just canceled its arrangement after an audit showed unsatisfactory conditions. 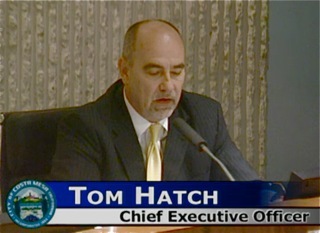 During his report Hatch spoke of a new feature on the city web site, involving news items about the City, and mentioned Public Information Officer Tony Dodero. He also told us sandbags were available at three locations in the city. 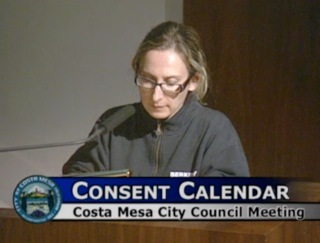 Four items were pulled from the Consent Calendar for discussion later - which turned out to be after midnight. 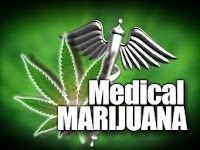 Public Hearing #1, the ordinance dealing with cultivation of Medical Marijuana, received a short discussion before being passed on a 5-0 vote. We really have no choice in this matter. If we don't pass an ordinance before March 1 we lose all control over cultivation within the City - the State would regulate it. 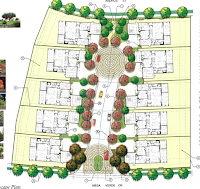 Public Hearing #2, the discussion of a new set of rules for Resident Only Parking throughout the city, began at 7:45 and ended at 10:05, following comments by twenty (20) residents and a lengthy discussion of alternatives. At the end, Righeimer made a motion to approve the staff report as written with a few modifications. A smaller percentage of neighbors would be required for a petition, three permits per household instead of two, expiration of the permits would be three years, not two and the staff will come back in a year for re-assessment of the process. After a short break Old Business #1, the second reading of the new ordinance regarding commercial processing of organic waste, passed on a 5-0 vote in less than two minutes. At 10:17 p.m. the discussion began on New Business #1, the mis-identified "Changes to the Temporary Sign Code/Policy". It began with Hatch apologizing for the inaccurately designated staff report - which basically hid the fact that it included the discussion of whether Costa Mesa Television should televise campaign forums or not. The discussion was bifurcated - first the sign issue was dealt with. Thirteen people spoke on the issues, most of them focusing on the CMTV issue. NONE thought it was a good idea for CMTV to NOT televise campaign forums. The vote on the sign issue passed 5-0. Foley made the motion that was Option C in the staff report, modified to remove the specific date and removing the retrieval fee requirement. WHO GETS TO DECIDE? NOBODY! During the CMTV discussion Righeimer raised the specter of Huntington Beach, where a social media page takes credit for ousting two liberal politicians in their last election. It was in the context of "who gets to decide which forum is televised?" 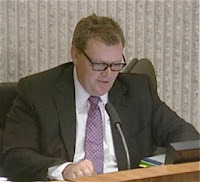 He mentioned the Costa Mesa Public Square Facebook page, which has over 5,000 members (but none with a dissenting viewpoint), implying that something similar could happen in Costa Mesa. 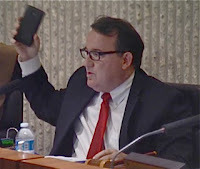 At one point he waved his cell phone around, implying that anyone could record the forum and put it on YouTube or elsewhere. A lawyer from Best, Best and Krieger was on hand as special council on this issue and told us that there is NO legal reason for CMTV to not televise candidate forums. Foley and Genis said CMTV should continue to televise forums, with Foley wondering "what are you afraid of?" a couple times. After a couple attempts at motions and substitute motions, the end result - on a 3-2 vote - was that Costa Mesa Television will no longer record and/or replay ANY candidate forums. The vote came at 11:58 p.m. INDEED, WHAT ARE THEY AFRAID OF? Here's my view of this issue. Having watched all this unfold over the past few years, and seeing the anger expressed by Righeimer and Mensinger against the Eastside Costa Mesa Neighbors Group a few years ago, this is purely another attempt to quash public awareness of campaign issues. Not a single speaker spoke in favor of CMTV discontinuing covering these events. Righeimer bad-mouthed the Feet To The Fire Forums and Monahan, with a few of his sparse words last night, chimed in that they were just "gotcha" events. These men simply do not like to have their opinions challenged and/or criticized, and apparently will stop at nothing to keep that from happening. They've institutionalized the stifling of free speech at city meetings, so this decision isn't really a surprise, but it IS disappointing. Just after midnight they finally got around to the trailed Consent Calendar items. Among those pulled was #3, the Warrant, by Anna Vrska, who challenged the legal fees, expressing concern about the depletion of the Self Insurance Fund, was concerned about the $16,000 spent on shirts and $16,500 to Jim Jordan for "Holiday Display consulting", and an amount to JP Morgan Chase. Hatch answered only about the Chase issue, which involved the recent Civic Center Barrio property foreclosure. Bob Graham expressed concern about the extension of the contract with the Boys and Girls Club, indicating that it was too long - 48 years - and showed photos of what he described as a messy bathroom - as if that had anything to do with it. The result was that the council continued the item until the next meeting so staff can prepare an explanation for the long extension of the lease for $1.00 per year. And so it begins for another year. At their first meeting of the year the council majority showed us what it's going to be like for the next 12 months. Less transparency, more partisanship and less attention paid to the views of the folks who take the time to address issues before them. 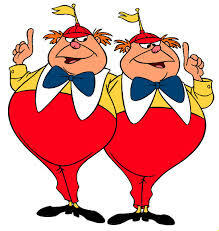 It's no wonder that there may be two initiatives on the November ballot that will appear there only because of the general distrust of these guys. It is past time for a change - but November will present the opportunity. We'll keep reminding you of that as these months crawl along. 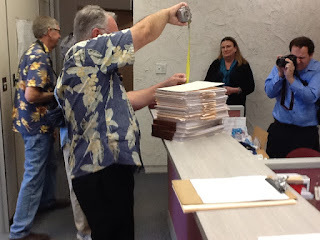 Former City Councilman Jay Humphrey, one of those very busy activists who created this initiative, was on hand for the event and presented the pile of paper - 11 inches - to City Clerk Brenda Green. The signature gathering process has taken months and the deadline was this week. The husband and wife team of Rick Huffman and Cynthia McDonald plus the tireless Mary Spadoni were also on hand. 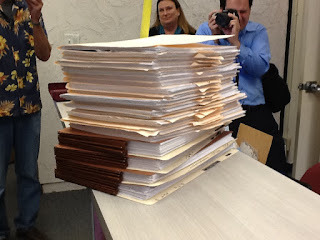 According to Zint, and others, a total of 6,918 signatures were presented and 6,908 will be delivered to the Orange County Registrar of Voters Tuesday so he can begin the certification of the signatures. 4,995 were required to qualify for the ballot. As you read Zint's article you'll find quotations from Mayor Steve Mensinger and Mayor Pro Tem Jim Righeimer. Perhaps the funniest one was attributed by Zint to Mensinger. He apparently said, "It's bad for public safety". Really? This from a guy who has made life miserable for the Costa Mesa Public Safety family ever since he took office, teaming with Righeimer to create such a toxic work environment that many seasoned police officers have bailed out. Both Mensinger and Righeimer are developers themselves, and have made life easy for their pals in the development business by creating a Small Lot Ordinance which codified many variances to normal projects - making it easier for their pals to put up projects that would have been questionable in the past. Kudos to those mentioned above, plus the dozens of other volunteers who walked neighborhoods and set up tables on street corners to gather signatures. We should know later this month just how many of those signatures made the cut. If there are more than 4,995 then the initiative will appear on the November ballot. If it qualifies you can expect a full court press by Mensinger, Righeimer and their sycophants on the Planning Commission, PLUS a ton of money coming into the city from developers to fight this. It's going to be especially interesting for Mensinger, who will likely run for re-election. It will be interesting to see how he fabricates the "facts" of this initiative while trying to get people to believe him. It's going to be an interesting year, for sure. Are you ready? I'm ready! I spent much of the Christmas/New Year holiday banking my sleep in anticipation of yet another year of fun and games in the political whirlpool that Costa Mesa government has become. 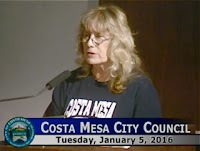 Tuesday, January 5, 2016, the Costa Mesa City Council will meet for their first meeting of the year beginning at 5:45 p.m. in City Council Chambers at City Hall and, although the agenda is relatively small, there are some items that will almost certainly generate some spirited discussion. You can read the full agenda HERE. I'll give you a little rundown, beginning with a little peek at the Consent Calendar - items that are anticipated to all be handled in one vote, without separate discussion, unless someone pulls an item for conversation/explanation. Consent Calendar Item #2, Warrant 2548, HERE, is full of interesting information made available to us because Mayor Steve Mensinger required it a couple years ago. The items listed below struck me as interesting, either because of the amounts or the nature of the expense, and are in order as they appear among the list, which represents almost $10 million in payouts by The City over the past month or so. 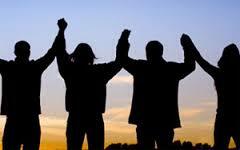 Global Power Group, Inc. - $102.390.51 - 2014-2015 Westside Neighborhood Retentions. Civil Source - $53,751.25 - Proj. Mgt. So, let's pause here for a moment before continuing on to take a closer look at just those items above. This warrant contains nearly $225,000 in legal costs! We spent more than $33,000 to one agency - Government Staffing Services, Inc. - for temporary services! And, why did we pay Jim Jordan $16,500 in "Consulting Services"? 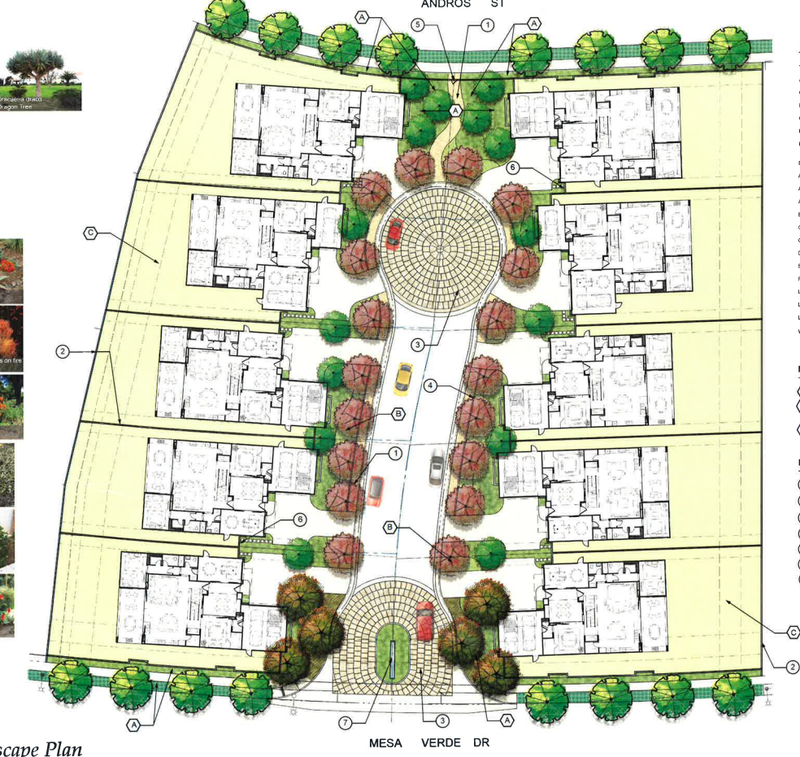 Sliding on down in the Consent Calendar, on #5, HERE, we find the final Tract Map for the 10-lot development at 2880 Mesa Verde Drive, You will recall this was originally proposed to be a project with more lots, but the developer met with community members and reduced it to 10 larger lots. Item #8, HERE, is the restatement of the lease agreement with the Boys and Girls Club of the Harbor Area, Inc. for an additional 48 years. Some may recall that resident Chuck Perry caused a stink at a recent meeting when he suggested that the club was going out of business based on some rumor he heard. cultivation of marijuana within the City. If it doesn't have an ordinance in place before March 1 the State of California will control that issue. 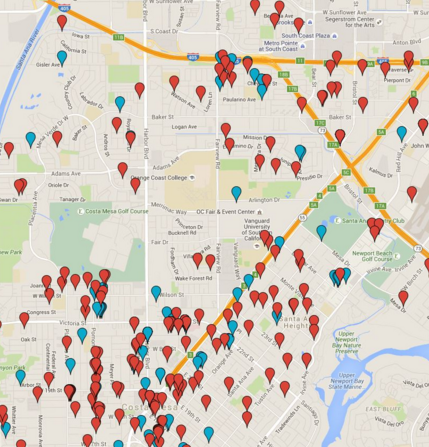 We've written about this before when the Planning Commission heard the issue. TIGHTENING THE SCREWS ON "RESIDENT ONLY PARKING"
Require petitions with higher majority (70%) support and eliminate the process of gathering license plate information. Establish permit parking in areas where with the above support, staff can verify that seventy (70) percent of on-street and visible off-street parking available to residents are utilized. Limit the number of permits to two (2) per eligible household to better manage available on-street parking and the number of guest parking permits to 100 per household per year. Incorporate a two (2) year permit expiration and serial numbers to provide an up-to-date database and provide future funding for sign maintenance. Establish parking zones to limit parking accessibility of a permit holder within their parking zones. Permits will be color coded or uniquely marked to identify the parking zone. Establish a reasonable permit fee to provide funding for better signage, permit software, on-line permit processing, and to recover permit costs. All current permits would expire in 2018. This could make for an interesting discussion Tuesday night. Old Business #1, HERE, is the second reading of a new ordinance of a new ordinance which is in response to two recent state laws, AB341 and AB1826, and involves regulation of commercial handling of organic recycling. Effective April 1, 2016 new rules go into effect for businesses. I don't expect much discussion on this one, just as there was not much when it received the first reading in December. Which brings us to the final item on the agenda, New Business #1, HERE, cleverly titled "Changes to the Temporary Sign Code/Policy". However, as I angrily wrote when I first saw this agenda item last month HERE, it's MUCH MORE than that. While it certainly addresses the chaos that has been the campaign sign issue during each campaign season, it also includes a little bit of stealth regarding filming of candidate forums - and I'm still angry about it! "Additionally, concerns regarding City staff filming any of the candidates’ forums and placement of these forum recordings on the City’s website has also been raised." OK, raised by whom? Let me guess... one or more current male council members who don't like tough questions being asked of them at neighborhood candidate forums because the answers they give exposes the real "them". 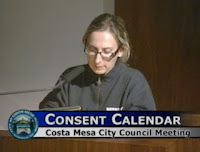 As I said in that earlier blog entry and HERE, in a commentary I wrote in the Daily Pilot a couple days ago, "...this is just another of the many attempts by the current council majority to stifle public awareness of how business is being conducted in Costa Mesa. 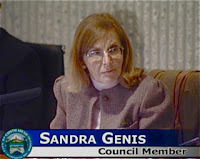 It's just a predictable extension of actions already taken by this council majority to quash public participation..."
This is a bogus move on the part of certain council members to prohibit those who cannot attend public forums where candidates for City Council are grilled by concerned community members - like seniors, disabled folks and those with work/family issues that prohibit them from personally attending - from being able to make an informed decision at the voting booth. With the possible exception of the coverage of important council and commission meetings, there may be NO BETTER use of the talents of the award-winning staffers of Costa Mesa Television than their clear, unbiased coverage of these events. Folks should speak out on this issue. Call or write to CEO Tom Hatch or - the best solution - attend the meeting Tuesday and use the three minutes provided to each of us to tell the council how you feel. You can bet some of their sycophants will attend and tell them to quash the coverage. It's going to be a very interesting meeting Tuesday night. See you there. Oh, yes... Happy New Year to you all. Thanks for making this blog the most read blog in Costa Mesa - and for contributing for your friendly author being named, one more time, to the Daily Pilot 103 - this time at #76! Muchas Gracias, Amigos.